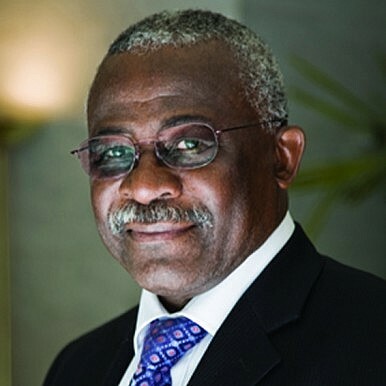 The Diplomat’s Jonathan DeHart spoke with Kanayo F. Nwanze, President of the International Fund for Agricultural Development (IFAD), about this year’s Tokyo International Conference on African Development V (TICAD V), Africa’s transformation towards self sufficiency, and the continent’s stellar growth prospects. Africa has enjoyed impressive growth recently—with sub-Saharan Africa growing at 5 percent or more each year since 2010. This is at least in part on the strength of its abundant natural resources. With some now saying the commodities supercycle in nearing its completion, do you have concerns that Africa may lose economic momentum? It all depends on which angle you look at it from. I would say that sub-Saharan Africa is growing by at least 5 percent. What’s interesting is that the number of countries enjoying such healthy growth is also increasing. From that perspective we have to project the number of countries that will increasingly begin to grow at a healthy rate. There is, as well, the ongoing discovery of new natural resources across the continent of Africa. So the real question is how GDP growth will translate into social development. I don’t think the commodities supercycle is nearing completion with respect to African countries. My concern is whether Africa’s leadership are putting into good use this growth and properly directing the gains into development. Some countries have seen significant improvements in both economic growth and also development. Ghana is a good case. It has achieved middle income status. A significant fact to consider is that seven of the ten fastest growing economies in the world today are in Africa: Democratic Republic of the Congo, Ethiopia, Ghana, Mozambique, Nigeria, Tanzania and Zambia. The IMF projects over the next five years that African countries will experience some of the fastest growth in the world –5.4 percent in 2013 and 5.7 percent projected for 2014 among sub-Saharan African countries. The prospects are very good but all of this is highly dependent on leadership, governance, and the political commitment to ensure investments are managed for the betterment of the population, such as education, health, infrasturcutre. All of these will go hand in hand to see a boom in the economy. Alongside the economic boom, another aspect of the African landscape is the growing stability of the democratic process. Very few African countries today can be described as “fragile” due to political instability. Ten or twenty years ago, the picture was quite different. For positive examples of this trend, look at countries like Senegal, Malawi, Ethiopia. Yet, some nations are still struggling, such as the Democratic Republic of Congo, which has enormous economic potential, and Mali. The foundations are there for Africa to really take off. Kyodo is reporting that Keidanren, Japan’s peak business council, has submitted a proposal to Prime Minister Shinzo Abe calling on African countries to, among other things, improve security for Japanese companies operating there. How do you see the evolving security situation for foreign companies and investors in Africa? I don’t know the specific example you are speaking about here. But I think in general the call for African countries to improve their security is a good one. I think the issue here is that for us to attract investment it will mean that security for everyone must increase. It must be improved in general; not only for foreign investors. This also goes for domestic investors and ordinary citizens. This is not only an issue for Japanese firms, though Japan is known for emphasizing the element of human security. I think one thing that often happens when discussing matters of security is that many lose sight of the fact that Africa is not one country. Further, not every African country is one state. In Nigeria, for instance, there are 36 states. In light of this complex reality, it is fair for both foreign and domestic investors to emphasize to governments the importance of reigning in all terrorists and other destabilizing forces. The same countries that have seen the biggest share of growth – Ethiopia, Ghana, Tanzania – are also among those that have made the biggest strides in terms of increasing security. The first Tokyo International Conference on African Development (TICAD) conference was held in 1993. How have Africa-Japan relations evolved over the two decades since then, do you think? I first came to know of TICAD in 2003. It was one of the first times I actually saw a process where a country has dedicated its time and energy to helping a group of countries with technical assistance and business development. TICAD is one of the biggest global platforms for African development. A significant point about TICAD is that it brings together not only Africa and Japan, but also other Asian countries. What is unique about TICAD V is that it coincides with the 50th anniversary of the Organisation of African Unity (now the African Union). It is impressive to consider what has been achieved in Africa during that time. The main things to watch at TICAD 5 will be the promotion of economic growth, facilitating robust social progress and encouraging peace and stability. Another major contribution of TICAD has been its contribution to Africa’s growing awareness of the need for ownership of its own development, alongside cultivating true partnership and inter-regional cohesiveness. As you’ve mentioned, TICAD’s objectives are based on the concept of “ownership” and “partnership” with the former referring to the promotion of African-owned development initiatives. Are you satisfied with the degree to which the African ownership objective is being realized? I’m fully engaged with the Grow Africa Initiative. In the past two years alone the initiative has galvanized $3.5 billion in investment. Many partnerships have been signed. What’s more, about 50 percent of companies involved are domestic African companies. These contracts are driven by governments. The goal is to increase the number of projects in which both the leadership and ownership are African. Ten years ago this would not have been possible. But there has been a significant change towards increasing leadership from within. TICAD has helped in much more than just the area of technology transfer and business development. It has definitely played a large role in raising the emerging leadership consciousness on the African continent. China in 2010 dislodged Japan as the world’s second-largest economy and it has been noted for its heavy investment in Africa. Japan meanwhile has struggled economically for the last two decades. How has China’s massively increased presence in Africa altered African perceptions of Japan’s own role? China’s growing influence in Africa has essentially overshadowed the influence of other donors. Its presence in Africa is massive. While I am not sure about whether China’s influence in Africa has changed Africa’s perceptions about Japan’s place in its development, I can offer an alternative perspective. The big question from my view is this. With the slowing of China’s economy, is its presence in Africa stable? Can African countries rely on China to be there in the longer term? It’s hard to say, but this is certainly something worth considering. The media these days commonly uses the term “the Asian Century” to talk about the impressive economic strides made by Asian countries like Japan over the past half century. The Economist, Foreign Policy and others have recently talked about a similar renaissance in Africa. Could we witness an “African Century”? When considering the possibility of an “African Century”, I think a good sector to look at is agriculture. Africa is home to almost 60 percent of the world’s uncultivated arable land. Yet, less than 40 percent of its potential is being cultivated. On top of this, in some African nations youth make up more than 60 percent – in some places even 90 percent – of the population. Just think of the possibilities with these kinds of untapped human resources potential, combined with the opportunity for new lands to be put into production. Where else in the world do you have such a confluence of circumstances? And this is just agriculture. Think of the oil, gas, and numerous other minerals that are being discovered across the continent today. Some of the largest natural resource deposits in the world are found in sub-Saharan Africa. Is it possible to see a future in which Africa is properly governed? That is the key. In the area of agriculture, in particular, Japanese companies are very active. A good example is the Coalition for African Rice Development (CARD), which aims to double rice production in Africa to 28 million tons annually by 2018. This underlines one of Japan’s greatest contributions to African development. In terms of development, Japan emphasizes human security. I think that there is an underestimated link between human security, food security and development. We know that through agriculture and rural development we are able to respond to most of the constraints that impact development. A healthy and productive agricultural sector supplies jobs. It empowers women. And we know that when women are empowered it increases the chances that children remain in school. Health improves. Micro enterprises come into existence. And with these trends, the migration from rural to urban areas decreases. This then reduces the risk of young people moving to urban areas where they can be lured by destabilizing groups and individuals. So building the agricultural sector is key to increasing security, which Japan always talks about. I hope TICAD V can contribute to the furthering the recognition that agricultural investment can contribute tremendously to Africa’s transformation.